The use of non-GAAP financial measures, which typically make a company’s earnings look stronger than they really are, has increased significantly in recent years. 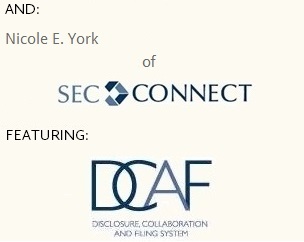 The creative use of these measures, and the prominence companies are giving them in their earnings releases, has prompted the SEC’s Division of Corporation Finance to update its Compliance and Disclosure Interpretations on the use of non-GAAP measures to provide more explicit guidance on when such measures may be misleading. The SEC staff has gone even further, issuing warnings in public speeches to companies that abuse non-GAAP measures. While the average number of comment letters issued by the SEC staff has decreased about 20% since 2010, the SEC has indicated that it will be issuing comment letters to companies that fail to comply with its guidance. 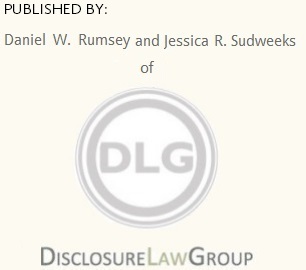 This suggests that the recent period of relative inactivity in the number of routine comment letters issued by the staff may be over, instead replaced by more focused reviews of disclosure issues of particular concern – such as abuse of non-GAAP financial measures. Excluding non-recurring charges but not including non-recurring gains. Mark Kronforst, the Division of Corporation Finance’s chief accountant, has done us all a favor by suggesting that companies have an opportunity to “self-correct” their disclosures. Management should heed his advice and carefully review draft earnings releases in light of the recent guidance, therefore avoiding an unwelcome comment from the staff, or worse, an investigation alleging misleading disclosure.